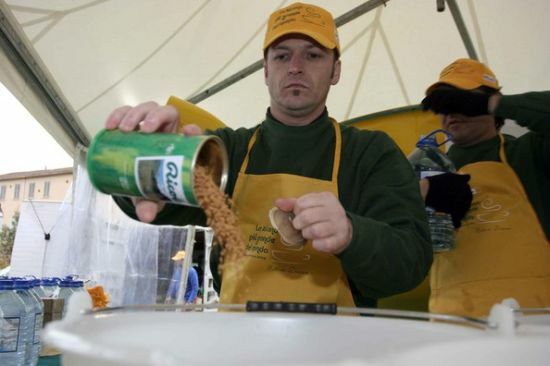 Ettore Diana, known for his love of cappuccino and weird world records, is now on the look out to donate some money to help out beekeepers in Wukro, Ethiopia. No, not from his own pocket! But through creating another weird record. 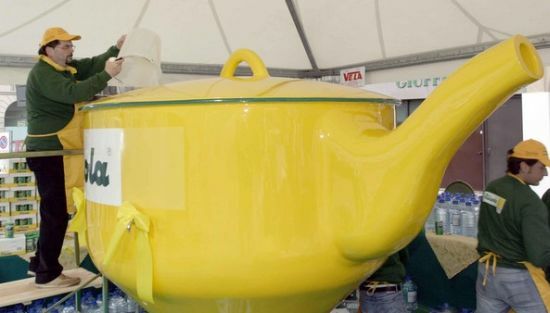 Yes, this time around itâs the âLargest cup of herbal tea everâ. 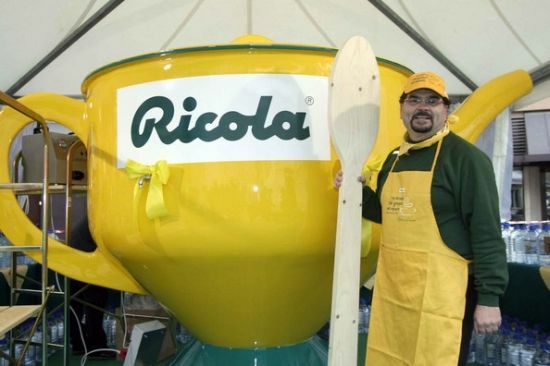 Aided by herbal tea and cough drop manufacturer Ricola, he plans to generate money by boiling up 2005 liters of tea in a tea pot measuring 2.2 meters high and 2 meters in diameter. And thatâs not all! Anyone passing by the Piazza Santo Stefano (Italy) will be offered a cup and a chance to donate. So if you are living nearby, drop in to donate for a cause. Jeans stool – Falling for creativity! A pinhole camera for Mr. Frankenstein! LEGO castle – Stunning is the word! ← Egg Light – Creative lighting at its best!